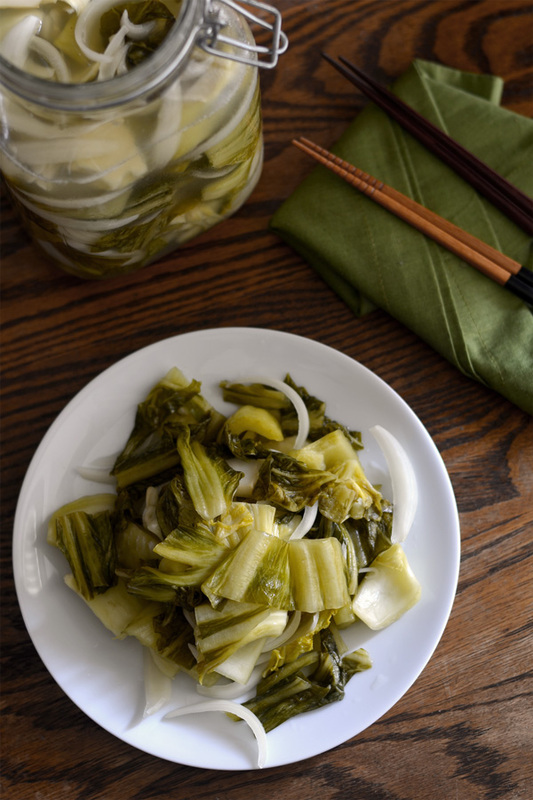 One of the staples my mom and grandma kept in the kitchen was dưa chua, or pickled mustard greens. It was often served as a side dish for meals throughout the day. 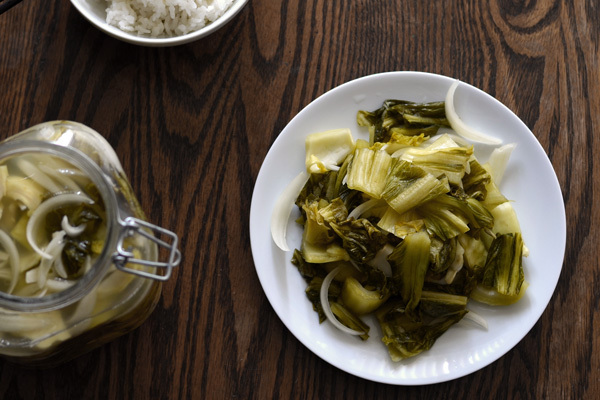 These pickled greens counter-balance many salty dishes such as thịt kho. 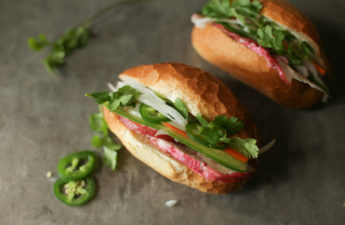 Northern Vietnamese more commonly eat this with thịt đông. 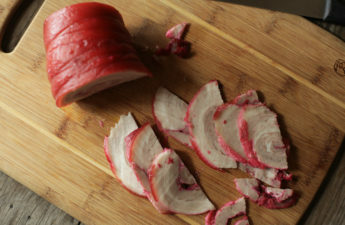 I remember seeing a plate of this at meals quite often as a child, much before I mustered up the courage to try đồ chua. These pickles are less pungent and have a variety of textures and crunch making them fun to eat. Some of my relatives only like the leaves, and some only like the crunchier branches. So depending on who visited more during the week, the big jar of do chua would be imbalanced like a marshmallow-stripped cereal box. 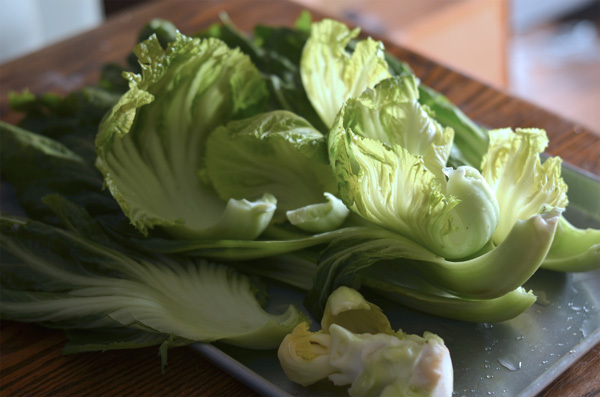 Whether your preference for do chua is for leaves or for the stems, you can start by choosing a fitting head of gai choy. 1.5 to 2lb. heads make a good amount for me. Younger (smaller) ones aren’t as crunchy. Older (larger) ones have more stem than leaves. Break apart the leaves and wash all the dirt off under running water. Shake off excess water and lay out on trays to dry. We do this so the final result is crunchier and slightly chewier. Find a balance of drying time that you like. This drying process also helps make your dưa chua last longer since we remove water from the leaves and replace it during pickling with saltier water. They can be left out overnight in the kitchen for more time drying. This processed can be sped up by sun drying. 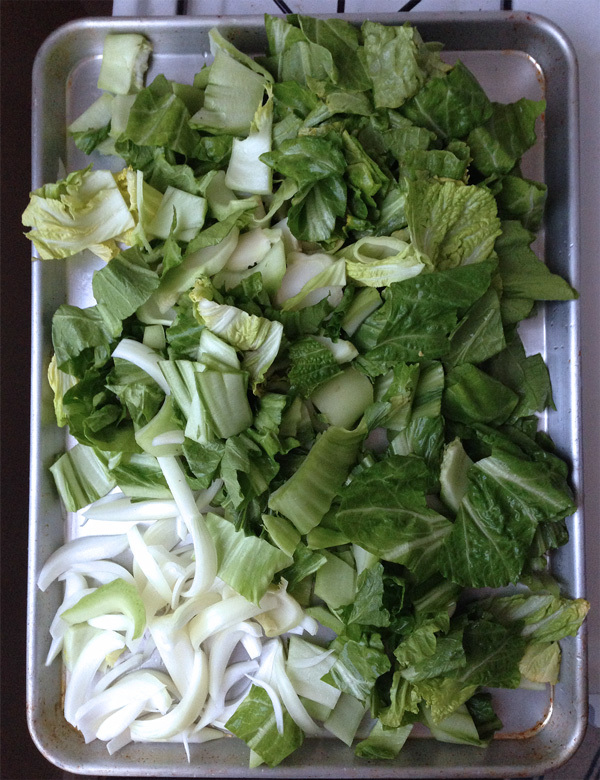 After a day of drying, chop up the mustard greens and yellow onion into whatever size you like. After the water has boiled and cooled to touch, add everything to the pot. You can transfer to a jar at this point too. It can be glass or plastic, with a rubber seal or just a plastic screw on lid. Old kim chi jars are perfect for this. I recently found out some shops nearby that occasionally sell used (and washed) kim chi jars for under $1. Place in a warm place. This can be next to a window, heater vent, or in the oven with the oven light on. Check on your dưa chua every day or so to see how sour it gets. It can be anywhere from 1-4 days depending on the room temperature. When it gets sour enough to your liking, move the jar to the fridge. 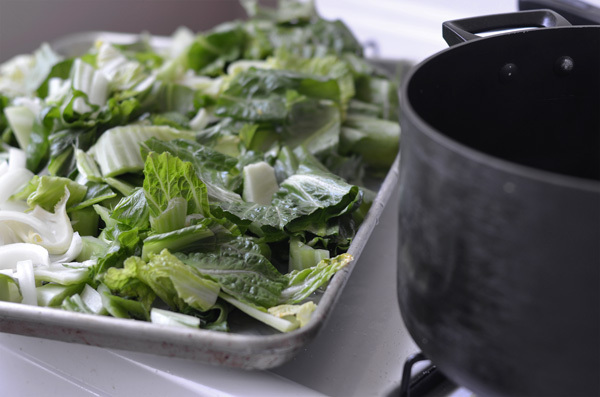 Break the gai choi leaves apart and clean thoroughly under running water. Dry on the counter for 10-16 hours or in the sun for 6-8 hours. Cut the leaves and onions to desired size, about 1" pieces. Combine water, salt, sugar, and vinegar in a pot and bring almost to a boil. Turn off heat and wait until water cools. It should be hot, but you can touch it without burning yourself. Add all the vegetables into the pot, making sure everything is submerged. You can also add all of this into a jar instead of the pot. 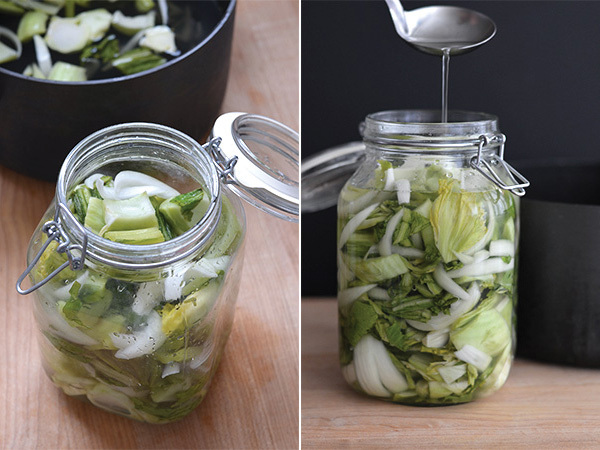 Leave your container in a warm place (window sill, or oven with the oven light on) so it can pickle. Taste a piece every 24 hours until it gets sour enough for your taste, then transfer to the fridge. The above recipe is perfect to me, but I want to try other variations for my family to eat. 5/2015 - For grandma, I cut sugar to ⅔ the above recipe. So far, she likes it. A little salty for her so will try 85% salt next trial. Mmm, small, simple dishes like these are so ubiquitous in every culture, and are total comfort food for those who grew up eating them. I, for one, crave my dad’s spicy pickled veggies, which are breakfast staples in my parent’s household. I got my fill when I was in California, but it seems really obvious that I should just learn to make my own, like you! I hate to admit that even though I ate pickles in many cuisines, I didn’t realize it was such a common component until I really thought about ‘how’ they were eaten. For sure you should make your own! Nothing like a taste of home with your family recipe, right? i also recall seeing this often at the dinner table and it’s been YEARS since i’ve had it. i used to only like the leaves and now i crave the crunchy stems. it’s interesting that it doesn’t call for much vinegar. and does any kind of vinegar do: rice or regular white distilled? I know that other recipes may call for more vinegar, but this is recipe is simply done to my family’s taste. White distilled vinegar is used mainly because it’s cheaper. There is a slight difference in taste if you use rice vinegar, but most people can’t tell. This is especially true for a recipe that calls for little vinegar. 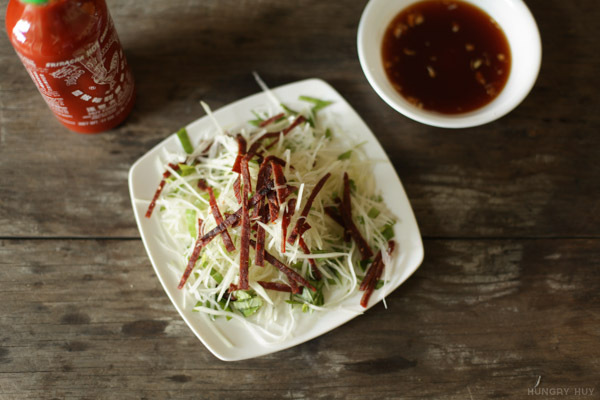 There are probiotics in kim chi, does dua chua have the same health benefits? You’re such an inspiration. I ran to your website today by accident, yet it was a good accident. I found most of the recipes that I love to cook for my family are here. So, thank you so much for sharing. Cheers bro! Thanks a lot Troy! I hope you and your family enjoy the recipes here 🙂 Let me know if you have any questions about the recipes! Troy, that’s so cool to hear! Charging through Viet dishes in the face of ‘obstacles’ haha. You can just try a sunny window inside the home too actually. Glad to hear it worked out though, let me know how BBH goes! 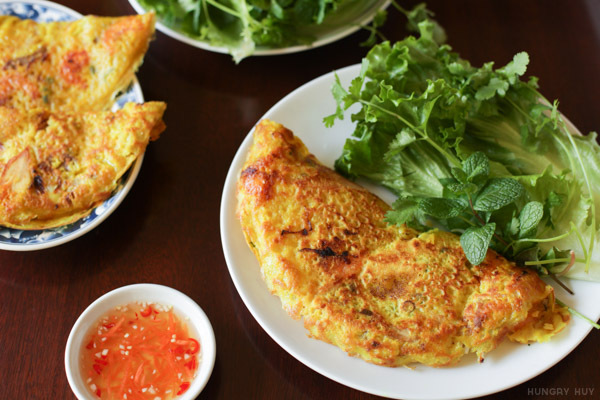 Huy, thanks so much for sharing the recipe. I made it once and it came out delicious. They were crunchy, tangy, not too salty or too sweet, and free of harmful food preservative. I am now about to do another patch. I did reduce the sugar amount because I enjoy the sour and tangy taste. One interesting discovery that I can pickle the cãi chua all in a Keramik Fermenting Crock Pot. It saves me time from stuffing them all in jars. 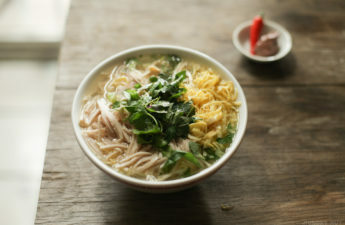 Growing up most of my life in Vietnam eating cãi chua and cā pháo, I appreciate the authentic taste. I now can make them on my own thanks to you. 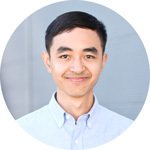 I’m grateful Huy, keeps on the good work! 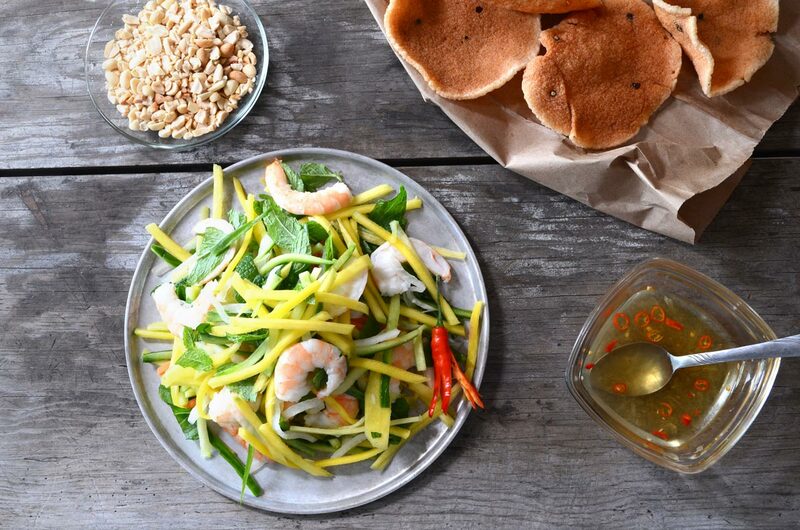 Also do you know how to make cā pháo pickle?